Elise Skalwold provided an informative and passionate talk to DCGIA in A Peek Behind the Curtain: The Edward Arthur Metzger Gem Collection. 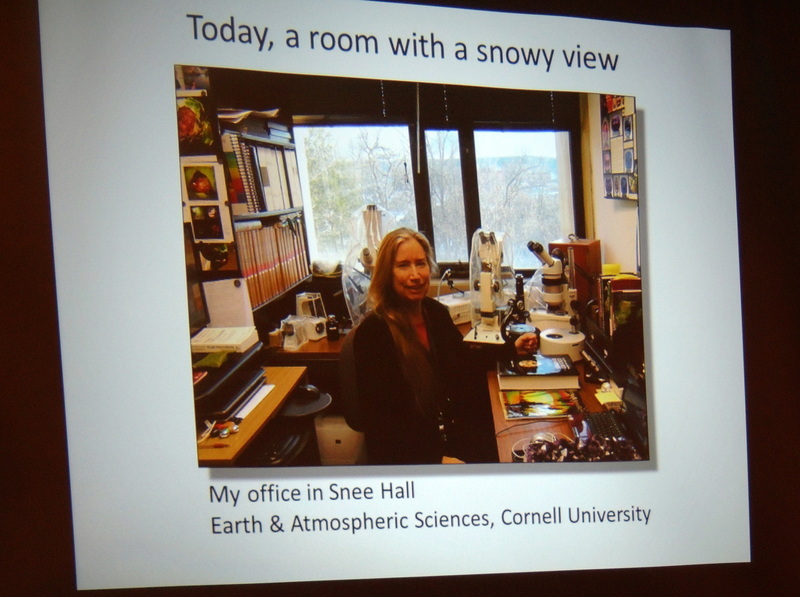 The collection was donated to Cornell University in 2004. Elise presented a visual feast of rare and unusual diamonds, exquisite colored stones, gorgeous jades, exotic pearls and jewelry which were all part of this magnificent collection. We also gained insight into the tremendous effort it takes to document the 871-piece collection, as well as the joy being so close to such beauty brings. Elise shared the history behind the Collection and the Collector himself. Central to shinning light upon the wonderful gemstones of the Edward Arthur Metzger Collection are the many people behind the curtain. 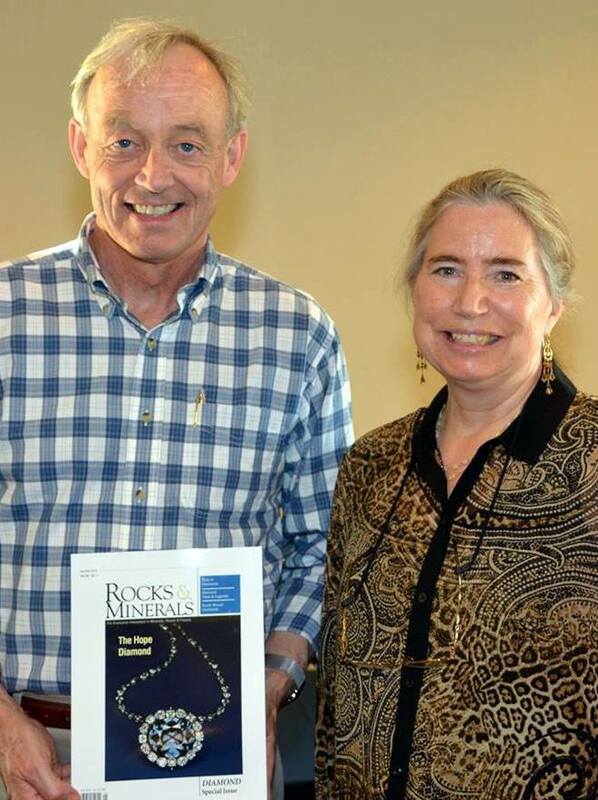 Of particular interest to the DCGIA Members was the wonderful collaboration Elise Skalwold had on this project with coauthor and friend, mineralogist Dr. William A. Bassett and longtime friend, Jeffrey A. Scovil (Grandmaster of Mineral Photography). It is Jeffrey Scovil’s skill which captures the beauty and grandor of the gems in the Metzger Collection. Elise shared some of these wonderful photos with the DCGIA members, these and many more photographs are in the Book “The Edward Arthur Metzger Gem Collection”. Authored by William A. Bassett and Elise A. Skalwold. This is the first of what will be two volumes, these books will catalog the entire Collection. 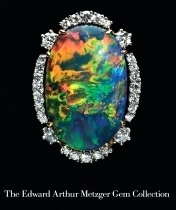 Get your copy of the 451 page book The Edward Arthur Metzger Gem Collection here. Elise has authored/co-authored many gemology and mineralogy papers which have been featured in trade magazines like InColor, Gems & Gemology, The Journal of Gemmology and Rocks & Minerals. 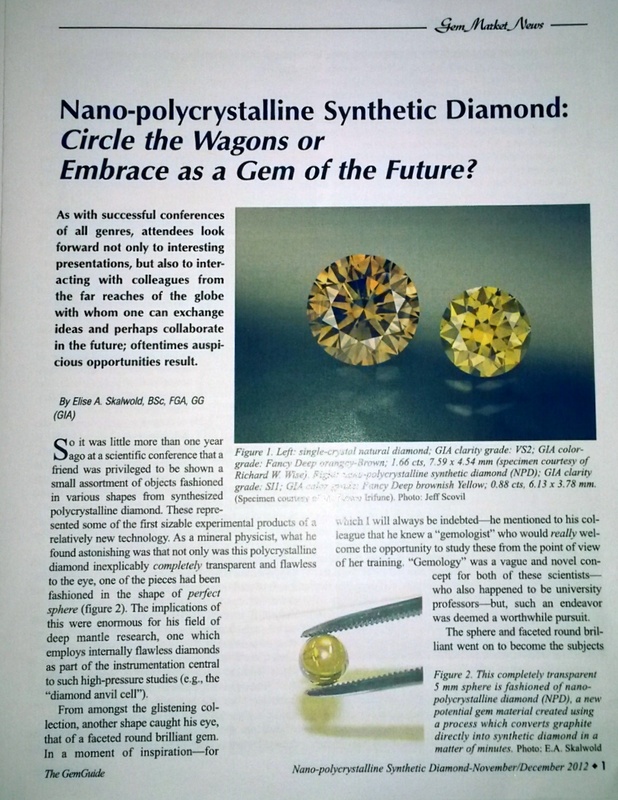 Elise in cooperation with the Richard Drucker (GemWorld/Gem Market News) also generously provided reprints of her article Nano-polycrystalline Synthetic Diamond: Circle the Wagons or Embrace as a Gem of the Future? Printed in the December 2012 issue of The Gem Guide. Nano-Polycrystalline Synthetic Diamond: Circle the Wagons or Embrace as a Gem of the Future? Gemology begins and ends with education, Elise is actively involved in bringing gemology to the university setting for the benefit of educators, students and non-students alike. 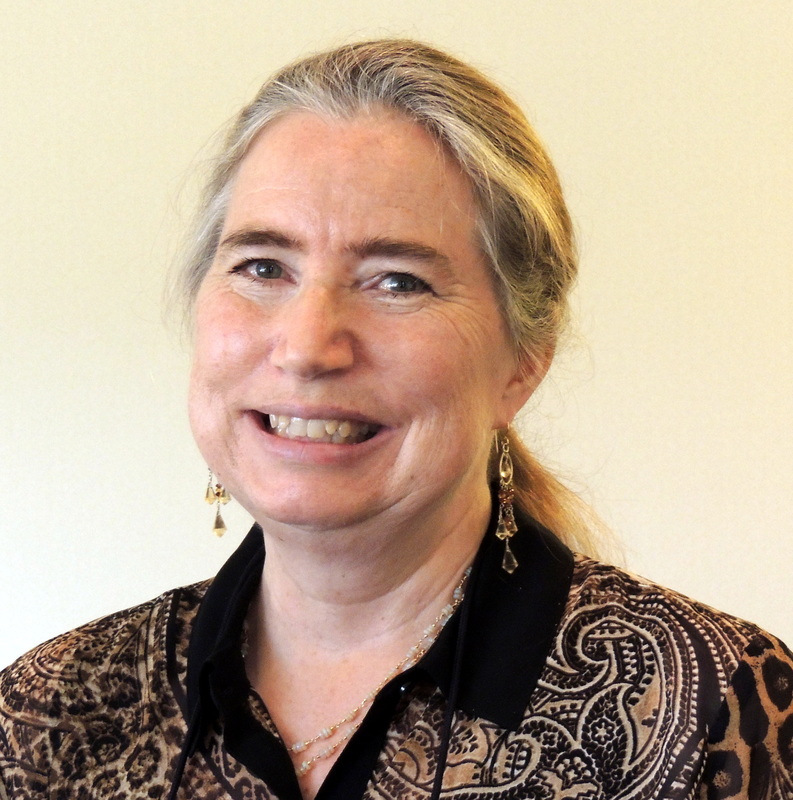 This was the quintessential theme of her paper “Scholarly Treasure: The Role of Gems in a University Setting” presented at the 2013 GIA sponsored “first-ever” Gemological Session of the Geological Society of America (GSA) 125th Anniversary Annual Meeting. 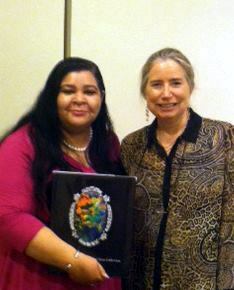 DCGIA sends a warm Thank You to Elise for sharing this wonderful topic and additional resources with us! 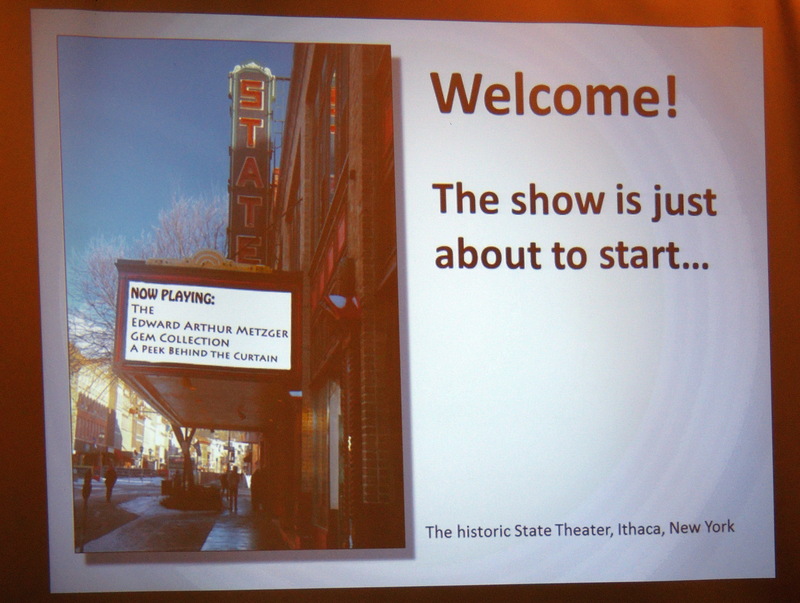 This entry was posted in Meeting Archives and tagged Dr. William A. Bassett, Elise Skalwold, Gems & Gemology, Jeffrey A. Scovil, John Koivula, Nano-Polycrystalline Synthetic Diamond, Rocks & Minerals, The Edward Arthur Metzger Gem Collection. Bookmark the permalink.